In today’s Nintendo Direct, it was announced that the blue blur, Sonic The Hedgehog, would be the seventeenth character to join the roster, by reclaiming his spot. He is the second third party character to join, the first being Mega Man. Not much is known about his moveset. 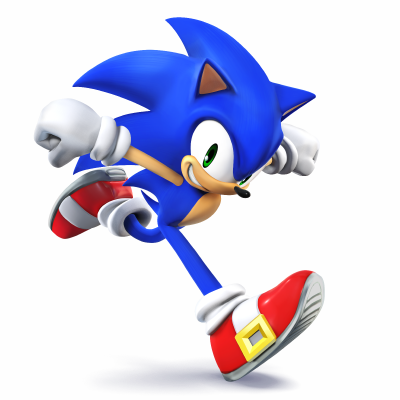 The move is not all surprising as Sega had previously announced a partnership with Nintendo, in which they would bring three Sonic games exclusively to Nintendo platforms: Sonic: Lost World and Mario & Sonic at the Olympic Games, with the third being unannounced. This entry was posted in 3DS, News, Nintendo, Wii U and tagged 3ds, brawl, character, nintendo, roster, smash bros, sonic, wii u. Bookmark the permalink.